The sixteen papers collected in this volume explore points of contact across the Latin, Greek and Islamic worlds between c. 1000 and c. 1250. They arise from a conference organized by the British Archaeological Association in Palermo in 2012, and reflect its interest in patterns of cultural exchange across the Mediterranean, ranging from the importation of artefacts - textiles, ceramics, ivories and metalwork for the most part - to a specific desire to recruit eastern artists or emulate eastern Mediterranean buildings. The individual essays cover a wide range of topics and media: from the ways in which the Cappella Palatina in Palermo fostered contacts between Muslim artists and Christian models, the importance of dress and textiles in the wider world of Mediterranean design, and the possible use of Muslim-trained sculptors in the emergent architectural sculpture of late-11th-century northern Spain, to the significance of western saints in the development of Bethlehem as a pilgrimage centre and of eastern painters and techniques in the proliferation of panel painting in Catalonia around 1200. 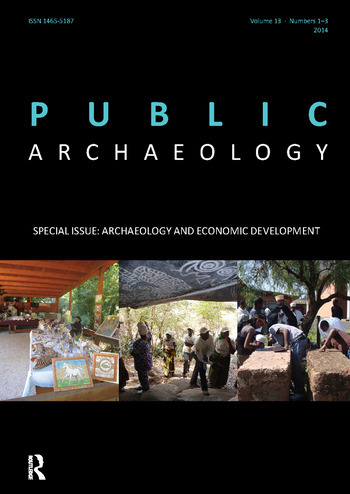 There are studies of buildings and the ideological purpose behind them at Canosa (Apulia), Feldebro (Hungary) and Charroux (Aquitaine), comparative studies of the domed churches of western France, significant reappraisals of the porphyry tombs in Palermo cathedral, the pictorial programme adopted in the Baptistery at Parma, and of the chapter-house paintings at Sigena, and wide-ranging papers on the migration of images of exotic creatures across the Mediterranean and on that most elusive and apparently Mediteranean of objects - the Oliphant. The volume concludes with a study of the emergence of a supra-regional style of architectural sculpture in the western Mediterranean and evident in Barcelona, Tarragona and Provence. It is a third volume, based on the British Archaeological Association's 2014 Conference in Barcelona, will explore Romanesque Patrons and Processes.